Local Address: E-205, Parliament Lodges, Islamabad. Permanent Address: B-1000, Block 10, FB Area, Karachi. A book explaining about the rights and respect of children with references from Quran and Hadith. A collection of Quranic verses beginning with word Allah, along with translation and explanation. A book explaining about the rights and respect of parents with references from Quran, Hadith and other prophets. Revolutionary and religious poetry book. Political Articles written by Nighat Mirza Nina at different times. A collection of true short stories of average ordinary people. From her early age, teaching and education has been the essence of Nighat Mirza Hina's revolutionary personality. This day, thousands of students coached by her are representing Pakistan, associated with different industries in several countries. The author of 6 books kept herself busy in promoting Urdu and upholding the name of Pakistan at overseas platforms. Be it writing fiction and true stories for monthly magazines or being a representative of quarterly Qafila (a magazine published from Bangkok) and Urdu News (Saudi Arabia's only Urdu language news paper). MBe it encouraging the talent of students from Al-Khobar's (Saudi Arabia) Pakistani School in co-curricular activities, or keeping the Pakistani spirit alive in the hearts and souls of overseas Pakistani's by arranging different shows at national events, as the President of Writer's Forum for Women. Along with all this, she has also been writing columns for Pakistani news papers; Jung, Nawa e Waqt, Amn etc. With her love towards art and enriched with love for her country, Nighat Mirza Hina has not only written National Songs, but has even got them composed & recorded with association of Saudi Arab's then famous musical group, the Star Group. Nighat Mirza Hina needs no introduction in the international sectors of literature. Even with all of her educational and literature activities, her attention never got diverted from her motherland and her birth city, and this love of soil became the reason for her affiliation with politics. 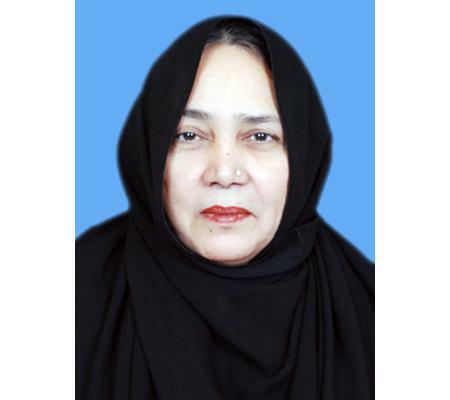 She took up the lead for the women wing of Rauf Siddiqui's Mohibbaan e Pakistan Overseas in 1998 and dedicated her pen for the struggle for rights of Muttehda Qomi Movement. During this era, her daily essays and revolutionary poems played a key role in awakening the consciousness of people. With MA International Relations (in process) and MA Islamic Studies from Karachi University, Nighat Mirza Hina is an advocate as well. She studied law from S.M. Law College (Karachi), while BA from Government Women College (Nazim Abaad, Karachi) and matriculate from Government Girls Wastania College. It was in 2003 that Qaid-e-Tehreek Mr. Altaf Hussain selected her to represent the party at senate, where she fulfilled her duties with diligence till 2006. She didn't only represent MQM's viewpoint at every instant but also executed different welfare activities. The most significant and compassionate deed of hers from that era was to ensure cost free transport of the deceased to Pakistan. Recently, she diverted her authoring talent towards the promotion of religion and has started a series of social educative books, titled 'Hayat e Ahsan'. The first book to this chain is 'Waldain aur Hum' highlighting the duties of children towards their parents. The book is at the final stages of publication. Further being written are, "Bismillah" a book comprising of the Quranic versus starting with the name of Allah the magnificent along with translation and explanation, "Suad" virtues of Durud, "Alif Laam Meem" and "Aulad aur Hum". For details on this, please visit www.hayateashan.com. Her previous books include; Shachayan (short true stories), Hawaaon ki Zangeer (poetry), Malaal Mausam Azaab Mausam (poetry), Mashriq ke sooraj (columns), Kuch Meray Dil Say (romantic poetry) and Sehmay Hoye Shehr (political essays).